While the dishes named in the title above are linked by “and,” I hasten to assure you they weren’t eaten together. I made them as appetizers for two of Beloved Spouse’s culinary specialties, which he’d made within a short span of days: Louisiana shrimp remoulade to eat before gumbo and Mexican melted cheese before chili. Tom makes terrific oyster and sausage okra gumbos, one version of which I’ve written admiringly about here. For his latest rendition, it fell to me to prepare a worthy, but not overwhelming, first course. 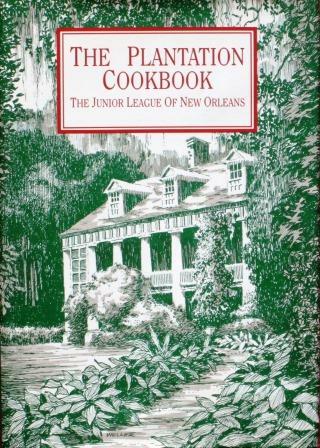 I chose a shrimp remoulade recipe from the Junior League of New Orleans’ Plantation Cookbook. 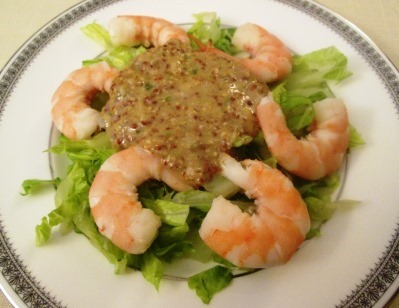 The only shrimp remoulade I’d ever made before was a very elaborate version from Galatoire’s restaurant. 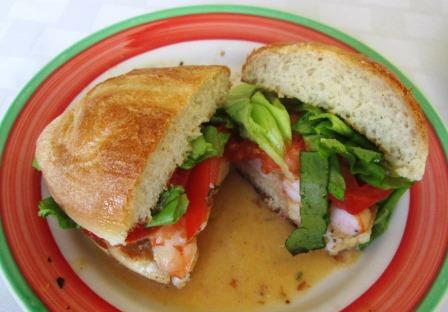 This one was simpler: its remoulade sauce has only 9 ingredients, compared to Galatoire’s 12. All the ingredients went into my mini food processor, which quickly converted chopped onion, chopped scallion, pressed garlic, grainy mustard, olive oil, wine vinegar, salt, cayenne, and paprika into a nubbly sauce. That went into the refrigerator overnight to integrate and develop its flavors. The next evening, to precede our gumbo, I arranged cold boiled shrimp on beds of shredded lettuce and topped them with the sauce. The remoulade wasn’t bad, and it complemented the shrimp well enough, but to our taste it wasn’t truly great, either. It was very acidic. That may be my fault, because the recipe called for tarragon vinegar and what I had was my own wine vinegar, which is very concentrated. I probably should have used less of it, or thinned it a little with water. Also, there was a lot more mustard in the mix, compared to Galatoire’s version, where the sharpness of the mustard is tempered by tomato puree and ketchup. So unless and until our palates want a really pungent shrimp remoulade, I guess I’ll revert to Galatoire’s version. A few days later, Tom made his Santa Maria Pinquito chili. He’s always tinkering with the details of his recipe, but he always uses those small, flavorful pinquito beans that we get from Rancho Gordo. And since he’s constitutionally incapable of making a small quantity of chili, we had to invite a few chili-loving friends to come and share it with us. I’d planned to have guacamole and chips with aperitifs in the living room, so I needed something small to serve at the table before bringing on the main attraction. I turned to Rick Bayless’s Authentic Mexican cookbook for his queso fundido con rajas y chorizo, which I’d made successfully before. 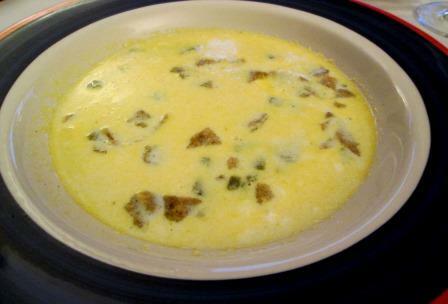 A dish of melted cheese with strips of roasted poblano pepper and crumbled chorizo is fairly hefty for an appetizer, but I made only very small portions. Working alongside the chili chef in the kitchen, I made my advance preparations for the cheese dish. I roasted, peeled, seeded, and sliced a poblano chili into strips, which I sauteed along with some sliced onion. Next I peeled, chopped, and separately sauteed Mexican chorizo. And I cut Monterey Jack cheese into ½ inch cubes. 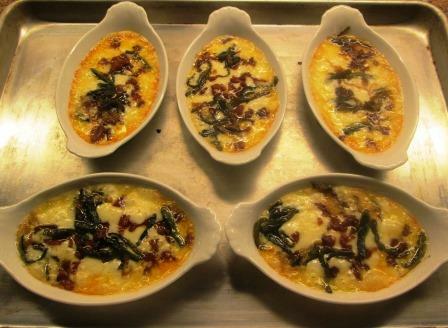 Near serving time I put a pan of small, empty gratin dishes in a 375° oven. When they were hot, I spread the cheese cubes in them and returned them to the oven for five minutes, until the cheese was just bubbling. I took out the pan, strewed the pepper-onion mixture and the chorizo on the cheese, and put the pan back into oven for a final five minutes. 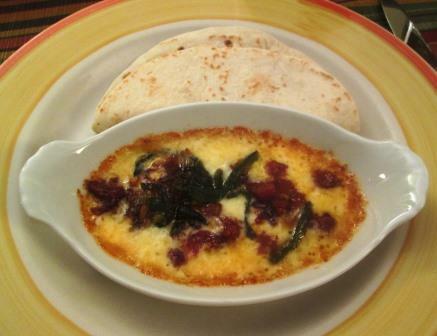 Served with warm flour tortillas for scooping up the melted mixture, the queso fundido was a big hit with everyone. The combination of cheese, sausage, and vegetable flavors somehow made the whole greater than the sum of its parts. I must make this simple, satisfying dish more often! 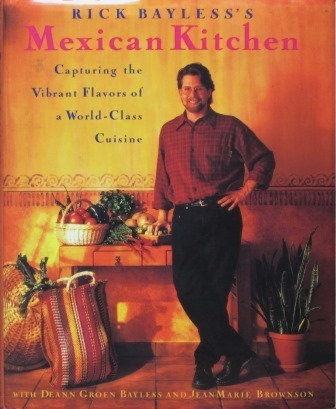 I was really looking forward to trying a recipe for pasilla mushroom tacos in Rick Bayless’s Mexican Kitchen. 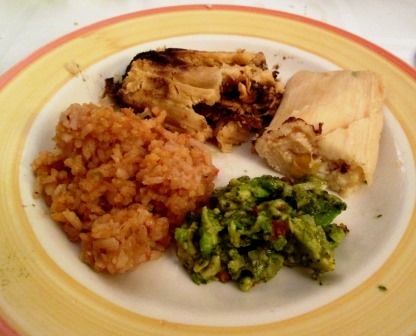 I’d never done anything with pasilla chiles before – didn’t remember even having tasted them. 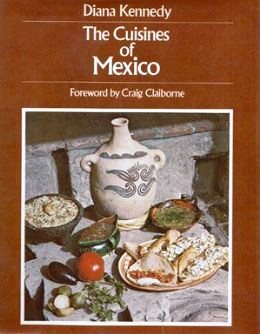 In his headnote Bayless says pasillas have “an unctuous creamlike quality” when pureed and a “magnetism that captures you.” Also, the recipe calls for woodland mushrooms, and Beloved Spouse and I dote on wild mushrooms. It all sounded wonderful. 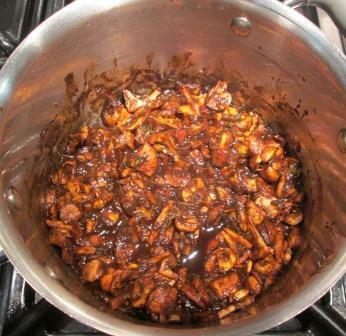 I cheated a little on the mushrooms, using half chanterelles and half cremini. Cremini aren’t woodland creatures any more, but in nature they do grow up to become portobellos, which are one of the varieties Bayless suggests. The rest of the directions I followed scrupulously. 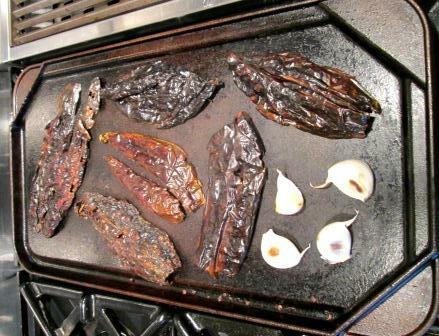 I carefully split open the chiles, flattened them out and removed the seeds, and roasted them on a griddle, along with the unpeeled garlic cloves. 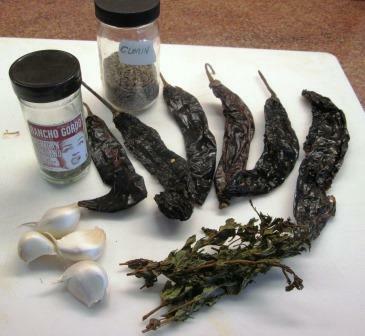 I soaked the roasted chiles in hot water for half an hour to soften them, then put them into a blender with the peeled garlic, freshly ground cumin seed, oregano, black pepper, and some of the chile soaking liquid. That made a dense puree, which I cooked in a little oil for 5 minutes. I stirred in some chicken broth to loosen it, added the mushrooms and the epazote, and simmered it all for 15 minutes. 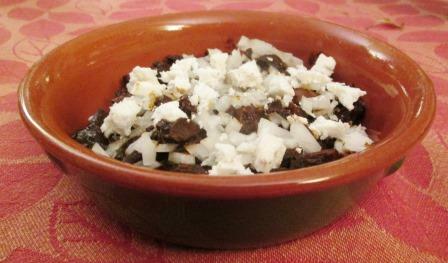 At dinner time I transferred the pasilla-mushroom mixture to a serving dish and topped it with diced onion and crumbled feta cheese (a Bayless-approved substitute for queso añejo, which none of my stores had, that week). We scooped the mixture into corn tortillas that I’d steamed to softness. Alas, there’s no happy ending to this story: The tacos weren’t very good. There was none of the recipe headnote’s promised “rich earthy spice” whose “woodsy flavor complemented the earthiness of the mushrooms.” Beloved Spouse said he found the predominant flavor more like smoked dirt – and I had to agree with him. You almost couldn’t taste the mushrooms at all. We tried brightening the tacos up with smears of salsa and guacamole, which we’d had as an appetizer, but that didn’t do much either. A very sad disappointment, the only one I’ve ever had from a Rick Bayless recipe. 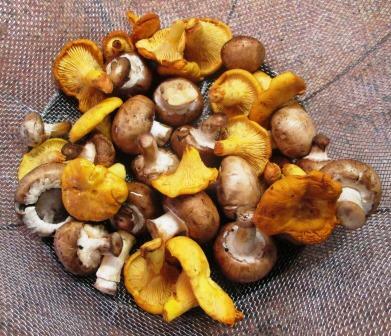 I really hated to waste those good chanterelles. As did more than 100 million other patriotic Americans, Beloved Spouse and I watched the Super Bowl on Sunday. Since the game was going to cut right across our dinner hour, we knew we’d need some frivolous food to sustain us during the long session in front of the TV. I found just the thing in the previous week’s food section of the New York Times. 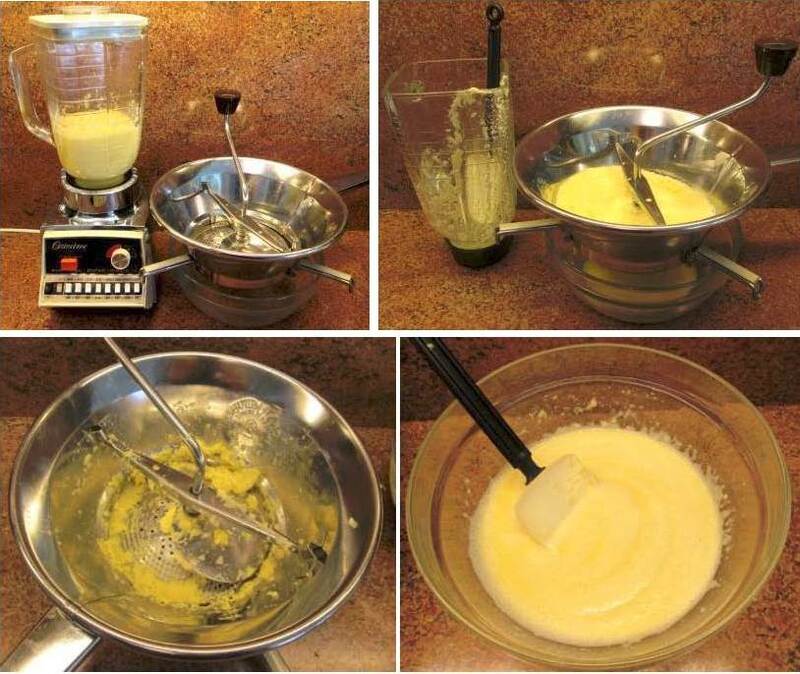 It had been a long time since I made a recipe from the Times. Several that I’d tried in the past were very unsatisfactory, and few since then have been of any interest to me. But my fancy was caught by an article about super-elaborate Loaded Nachos for Super Bowl snacking. Half a recipe’s worth looked like a full dinner for us. Loaded the nachos certainly were: The recipe listed 25 ingredients. Happily, I had many of them on hand, so I had to buy only some of the fresh things: tortilla chips, ground beef, one of three cheeses, sour cream, tomatoes, an avocado, and a lime. We started early in the afternoon by making the meat component. 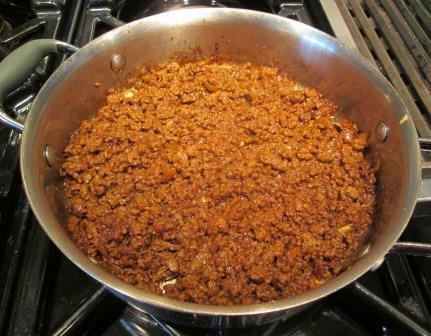 That involved sautéeing diced bacon, removing the bits and softening chopped onion in the bacon fat, then adding the ground beef and a big set of flavorings: garlic, chile powder, ground cumin, smoked paprika, black pepper, salt, brown sugar, cornstarch, and hot red pepper flakes. When all that had simmered together for a while, I stirred in enough water to loosen the mixture and let it sit on the back of the stove until needed. That was a matter of making layers in a baking dish. 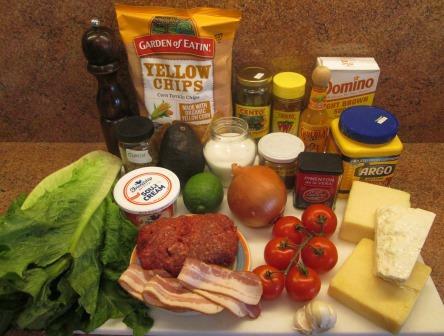 One-third of the tortilla chips, of the beef mixture, the lettuce, the jalapeños, the bacon, the avocado, the jack and cheddar cheeses. Repeat twice. Sprinkle the cotija over the top. After I’d done all that I discovered I’d skipped the third set of avocado slices, so I arranged them around the sides of the dish. That worked all right. The nachos went into a 400° oven for 10 minutes, just until the cheeses had melted. For serving, I topped the dish with cut-up tomatoes and dabs of sour cream. (The recipe calls for an additional topping of sliced radishes and chopped cilantro, but the amounts were so tiny I’d decided to forgo them.) Everything went together well, and we ate messily but enjoyably in the living room while watching the game. A squeeze of lime juice on each portion was nice, but the hot sauce wasn’t even needed; the beef mixture provided a good lively spiciness. To drink, Beloved Spouse dug into his wine lair to extricate a 10-year-old Pagani Ranch Zinfandel from Ridge Vineyards, which is almost the only California producer he’ll allow in the house. 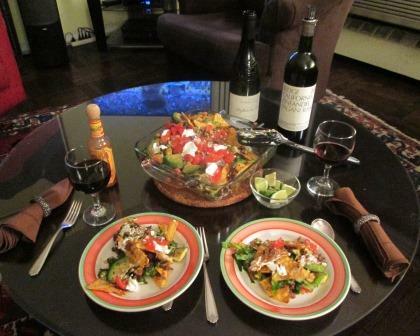 Both robust and elegant, the bottle matched beautifully with the assertive yet complex flavors of the nachos. 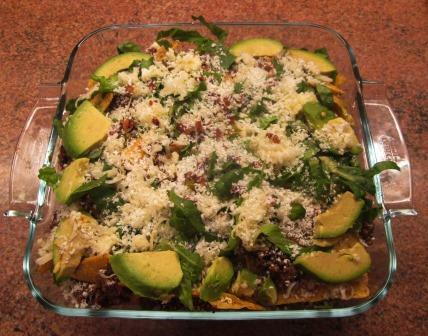 Good as these particular nachos were, this is the kind of recipe that can easily be modified for individual tastes. If I make it again – for next year’s Super Bowl? It could become a family tradition – I’m likely to give it a substantial layer of refried beans, less of the meat mixture, more jalapeños, and more cheese. I’d still skip the radishes, but maybe reinstate the cilantro. And maybe next year the Giants will make it all the way to the big game. Last week I wrote about a deeply disappointing dish that I’d made from my newest cookbook, Richard Sandoval’s New Latin Flavors. Despite the recipe’s problems, I resolved to give the book another try, so this week I got right back on the horse – with much happier results. 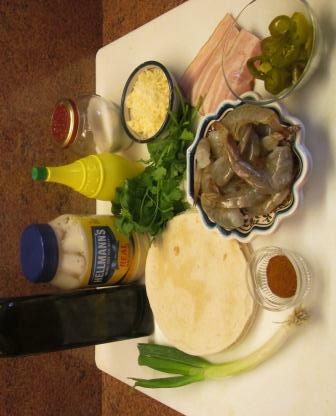 I was attracted to a recipe for Shrimp and Bacon Quesadillas. Very cautious reading revealed no omissions or contradictions, no disappearing ingredients. 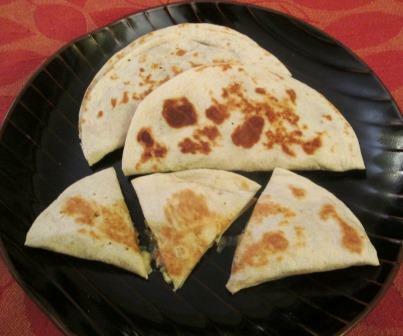 The dish seemed to entail a fair amount of work, compared to quesadilla recipes I’d seen elsewhere (I’d never made my own before), but the ingredients weren’t particularly outré, and the entire filling mixture could be put together hours in advance. It looked promising. 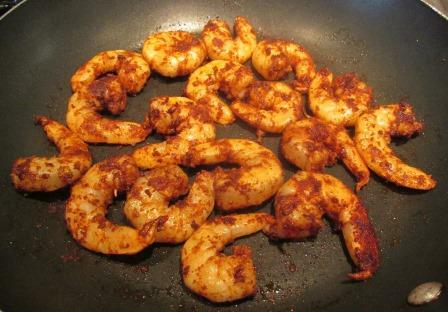 To start the filling I tossed peeled shrimps with chili powder, oil, and salt, then cooked them briefly in a skillet. Sandoval hadn’t specified the kind of chili, and what I had was de Arbol, a Mexican variety that’s extremely hot (“has tannic, smoky flavor with searing acidic heat.”). The specified tablespoonful of it looked like a daunting amount on my six ounces of shrimp, but I went ahead with it. They came out with considerable pungency. The shrimp then had to cool in the refrigerator. While they did, I crisped some bacon, chopped it, and mixed it in a bowl with shredded sharp cheddar cheese, thinly sliced scallion, chopped pickled jalapeños, chopped cilantro, mayonnaise, and lemon juice. To me, that seemed an odd combination: the mayonnaise in particular. But I soldiered on. 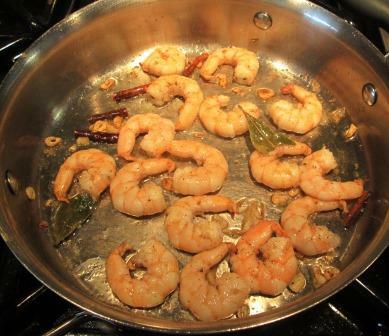 I confess, though, that when it came time to chop the shrimp and add them to the bowl, I wimped out: I put them in a sieve and sprayed them with water to rinse off some of the chili. The completed filling went back into the refrigerator for the whole afternoon, and when I took it out in the evening, one whiff was enough to know that there was still plenty of chili in it. Heat a large nonstick skillet. Put in a 6-inch flour tortilla, cook 30 seconds. 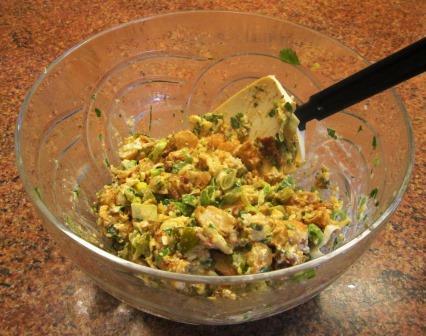 Flip it over, spoon a portion of filling on the bottom half. Fold the top half over the filling, cook 30 seconds. Turn the tortilla over (not letting the filling spill out), cook 30 seconds. Transfer it to a baking sheet, put it in a warming oven. Put next tortilla in the skillet and repeat. In this partnership, I did the filling and the transfers between countertop, stove, and oven; he did the skillet work. If we’d been line cooks in a restaurant kitchen, I suspect it would have been a breeze; as it was, I couldn’t help thinking of Lucy and Ethel at the conveyor belt in the chocolate factory. To my happy surprise, no disasters occurred; the filling didn’t even try to ooze out. In fact, I was a little concerned at how thin the layer of filling was. Would the quesadillas be too dry? No, they weren’t dry at all. 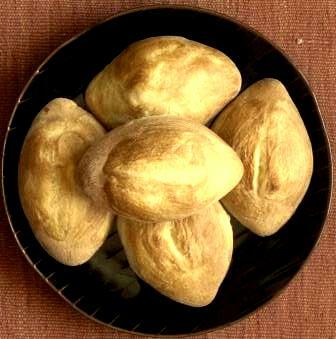 And, even though they seemed thin, they were quite substantial – and they really tasted good! The flavor was hard to describe: Everything had come together so that no one of the individual ingredients prevailed. We probably wouldn’t even have guessed shrimp or bacon if we hadn’t known they were in there. But the combination was delicious, with just the right amount of chili heat. To top it all off – or, more accurately, to wrap everything up – the soft flour tortillas had developed a rich wheatiness from the toasting. Each bite we took made us eager for the next one. So the book stays on my shelves for at least a while longer. 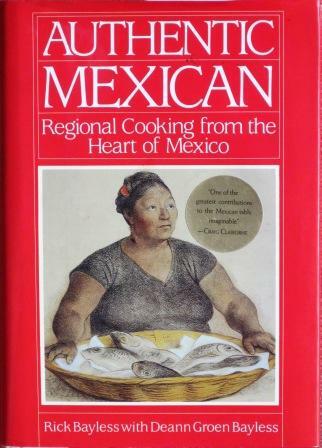 My newest cookbook acquisition came about because of a very good dinner that Tom and I had at Pampano, an upscale Mexican restaurant in midtown Manhattan. All the dishes we had were so interesting that I asked if the owner-chef had a cookbook out. 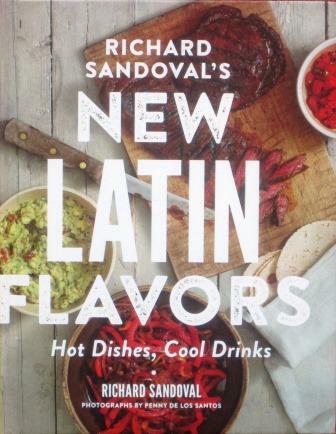 Of course he did, and home I went with a copy of Richard Sandoval’s New Latin Flavors. It’s an attractive book, well designed and laid out, with enough glamorous color photographs to induce salivation. (A mild disappointment, when I got it home, was that, of all the food we’d enjoyed at the restaurant, the only item represented in the book was a chipotle aioli.) The chef’s exuberance encompasses Mexican, Peruvian, Venezuelan, and Argentinian culinary traditions, and he loves to add recondite Asian accents. For my initial cooking venture, I looked for a recipe that wouldn’t put too much strain on my pantry and grocery resources. 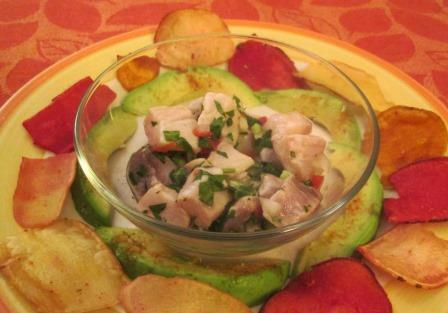 I chose Mexican-style Mahi Mahi Ceviche with Tomato, Cucumber, & Chile. The fresh ingredients I had to buy were no trouble to acquire: the fish, a plum tomato, a cucumber, an avocado, a lime, and cilantro. I couldn’t get the recommended yuca chips for serving alongside the ceviche, but I found a bag of mixed yuca, taro, and sweet potato chips. 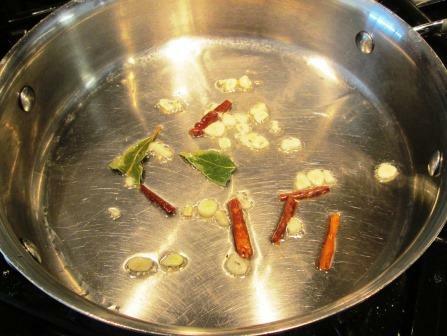 And I made one substitution for a seasoning, as I’ll explain in a moment. Once I had “cooked” the mahi mahi cubes in lime juice in the refrigerator, I stirred in chopped onion, tomato, cilantro, cucumber, and serrano chile. That combination seemed to promise fresh, bright flavors. Further, each serving was to be garnished with avocado slices sprinkled with salt seasoned with “pure ground chipotle chile.” I didn’t have any of that, so since it would need only ⅛ teaspoon, I decided that Spanish smoked paprika – pimentón picante – would do. 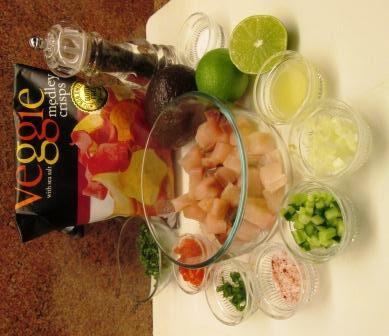 To serve, I set two little bowls of ceviche on plates and put a ring of seasoned avocado slices and another of vegetable chips around each. And you know what? It was terrible. Not terrible-revolting, but terrible-blah. The mahi mahi itself had almost no flavor – pretty much a waste of a good piece of fish. The condiments had no pep. The chips were horrid: stale, tough, tasteless. (That wasn’t the book’s fault, of course.) The chile-salted avocado was the only thing on the plate that tasted good. I don’t know what went wrong, but two tricky little points back at the beginning might have been an omen: The recipe’s title mentions cucumber, but there’s none in the ingredient list or the instructions; and the ingredient list says lemon juice while the instructions say lime juice. Poor editing, at the very least – and who knows what other errors may have gone unnoticed? Well, one failure shouldn’t make me damn the whole book. I’ll try it again, with a different recipe.